The Samoan Fiafia Dance was one of the highlights of this trip! 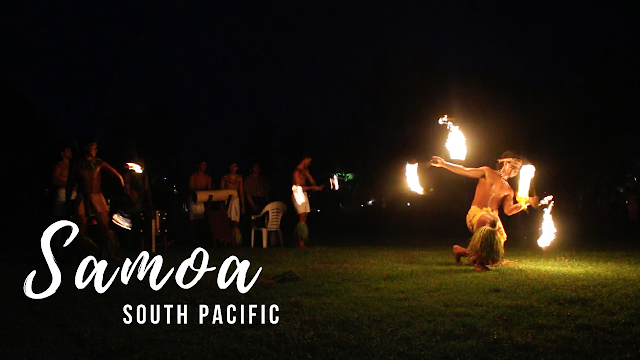 It's one very important cultural piece I wanted to see in the Polynesian Islands, and I'm very grateful that my hotel had this performance while I was staying there. Back at the hotel, I was scrambling to get ready since dinner was at 6:30pm. Tonight is the weekly Fiafia dance + fire dance night. Buffet was from 6:30pm and the dance started shortly at 7pm, so I gobbled down my food, and got a spot just to the front left corner of the stage to get some good footage for the vlog. There were 3 guys playing some drums and guitars in the back, and there were about 6 women and 6 men dressed in traditional wear, taking turns or also together to perform various different Samoan dances for different ceremonies – some welcoming or for celebrations, other dances for scaring off or threatening invaders. And then, I got called on stage. Of course, I was near the very front, and not Samoan. The leader of the group, this 50 year old man, short but strong build (and a little bit of belly) asked me for my name but couldn’t get it after I said it 3 times. Then he asked me how to say 1, 2, 3, 4 in Chinese. He taught me the same in Samoan, and then a chant & clap. People were laughing hilariously as he got the numbers in Chinese all mixed up and I was just clapping any number of times I pleased. The crowd that night was very good though, Samoans are so friendly and welcoming. Everyone there knew me now, I kept getting approached for the rest of my stay, complimenting me on my performance on stage. After the fiafia dance, the group head outdoors for the fire dance. It was an action packed 5 minutes with performers wielding flames, tossing it, doing human towers while spinning it, and all sorts of fancy moves. I wonder how much they practice for this, how heavy the flame tossers are. They should definitely make it an Olympic sport, under Gymnastics! 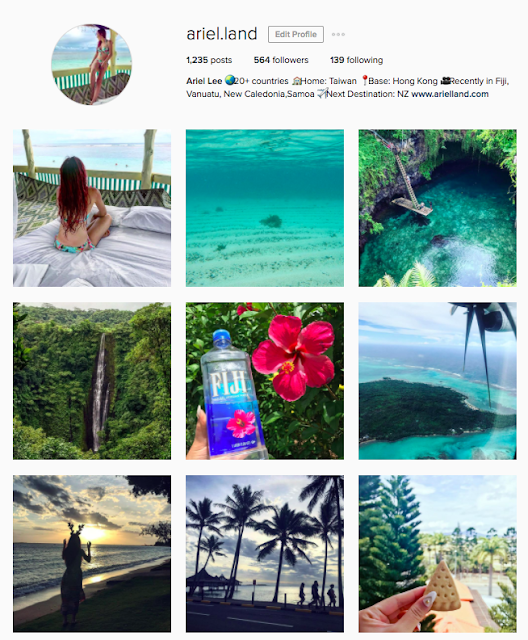 Unfortunately it is time to say goodbye to the Polynesian islands after this. I'll be heading over to Auckland, New Zealand as my layover stop before heading back to Hong Kong. It has been a really incredible trip. Comparable to that of the Trans Siberian which I took in 2016 March - April. It leaves such a deep impression, and adds to my immense appreciation to different cultures and heritages around the world. I could take the trip again right afterwards and expect to appreciate even more, and discover new things I didn't notice this time. Our time on this Earth is limited, so little compared to that of the history of humans, and the existence of Earth. As long as I'm alive, I will spend as much time as I can to continue to make friends all around the world, and discover the beauty of our planet.